Laurie graduated from the Medical College of Georgia with a BS in nursing and began her career at Northside Hospital as a labor and delivery nurse in 1982. After working for several years as a staff nurse, she realized she wanted to provide women with better options in their birth experience and returned to graduate school at Emory University to earn a Masters degree in Nurse Midwifery. She then worked as a staff nurse midwife at Grady Memorial Hospital gaining experience in delivering babies, providing prenatal care in the teen clinic, and serving as adjunct faculty teaching medical students and proctoring midwifery students. She then joined a solo practitioner at Mt. Vernon OB/GYN and created a successful midwife practice providing comprehensive OB/GYN care delivering babies and building strong patient relationships. As one of the first midwives at Northside Hospital, she served on several committees including the Quality Assurance Committee, Chairman of the Nurse Midwife Committee, OB Executive Committee, and the Perinatal Services Committee. Laurie has worked as a volunteer with Mercy Mobile providing GYN and primary care to homeless women. 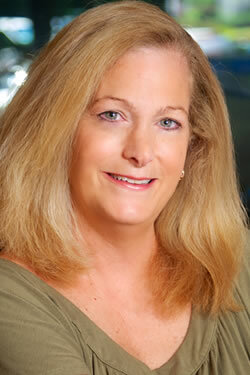 In 1999 she joined Roswell OB/GYN where she continues to provide comprehensive OBGYN care. Even after practicing for so long she still has a passion for delivering babies. She is currently working with Clinicians at Northside Hospital to develop workshops for nurses to better enable them to provide support to women who choose to have low-intervention, nonmedicated delivery and to build skills to improve the chance of a successful vaginal delivery. After delivering thousands of babies, Laurie now has three children of her own and spends her free time with her 7 year-old son and 5 year-old boy/girl twins.